For the most part, today’s seniors want to stay at home instead of a residential care facility. Almost 90 percent of seniors age 50 and older say they plan to ace in place and continue living in their current home for the next 5-10 years. With the rising cost of nursing homes these days, it’s no wonder why living at home is a preferred choice. A private nursing home costs about $7,800 a month. At recent interest rates, that monthly payment would be more expensive than a 30-year mortgage on a $1.5 million home. But cost isn’t the only issue. 30 percent of seniors living in a residential care facility report being depressed, compared to 11 percent of seniors who receive care in their own homes. How do seniors manage to stay in their homes longer? There are a variety of ways. Stay connected. It’s healthy to keep or create close relationships with friends and family. Stay mentally and physically active. Research shows that people who exercise their brains and their bodies have a reduced risk of dementia. Activities like ready regularly and completing crossword puzzles are especially helpful. Stay safe. Falls are a big deal and are one of the leading causes for older adults to enter nursing homes. 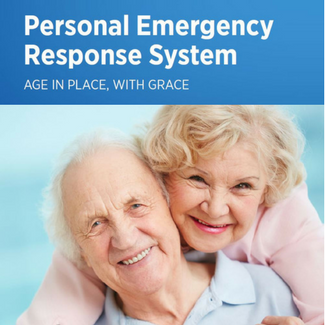 For more information about a Personal Emergency Response System from Alpine Communication, call us at (563) 245-4000.